Natalie collected recipes for 13 condiment recipes for picnics and potlucks. There are recipes for homemade sauces, mustard, relishes, and more. In addition to creating condiments with healthy ingredients, you’ll also save money! 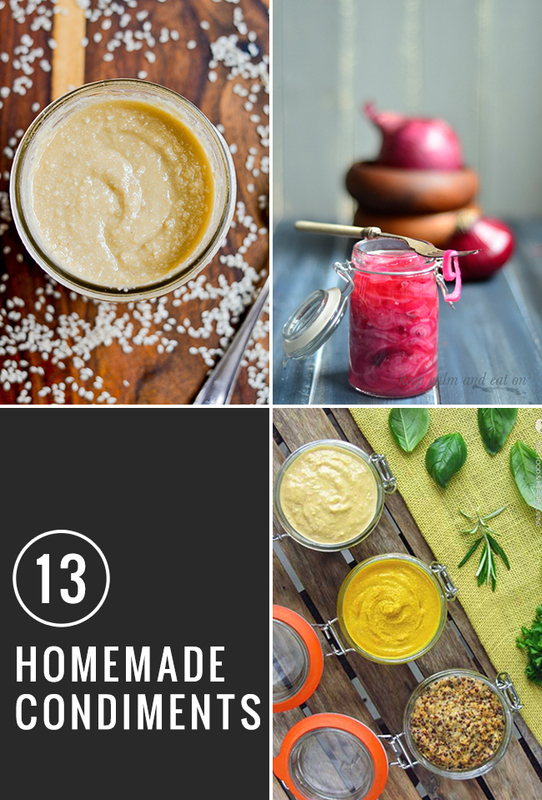 Click on the 13 Creative Condiment Recipes to Make at Home link below to see all of the recipes.